Happy 100th post! It’s been a while, but I’m still in the heart of my busy season. Finding time to cook or even think about cooking has been replaced by excel spreadsheets and memos that are unfortunately not writing themselves. The fact that Ray and I have been able to carve out pieces of our lives to blog about our shared passion is a success in itself. I’m so happy we’ve made it to 100. Let’s hear it for HUNDREDS more. What better way to celebrate the big hundo than with my favorite? 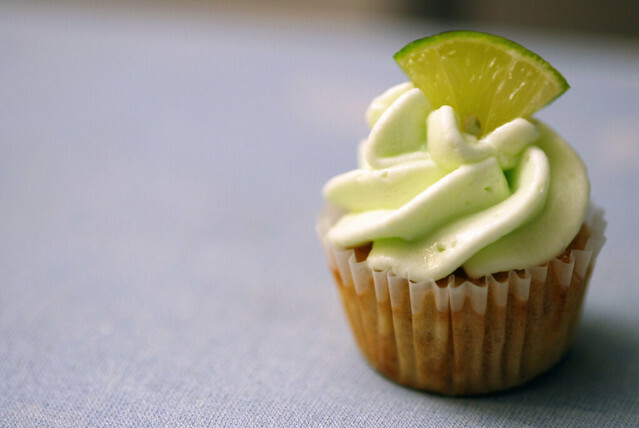 Citrus and cupcakes! Woot woot. Cream the butter and sugar together until light and fluffy. Add the eggs, one at a time. Mix completely before adding the next egg. In an open storage bag, crumb your graham crackers with a rolling pin. If you’re like me and like to release your stress and other other extreme emotion, grab a frying pan and whack the living daylights out of the bag. Combine with flour, baking soda, baking powder, and salt. Add the dry ingredients in 3 batches, alternating with the milk and ending with the dry ingredients. Mix until just combined. In a separate bowl, mix the egg yolks, sweetened condensed milk, and lime juice. Pour the lime mixture into your batter and stir. Make sure there is a clear difference between the graham batter and the lime mixture. If you see graham batter clumps, then you’re good to go. 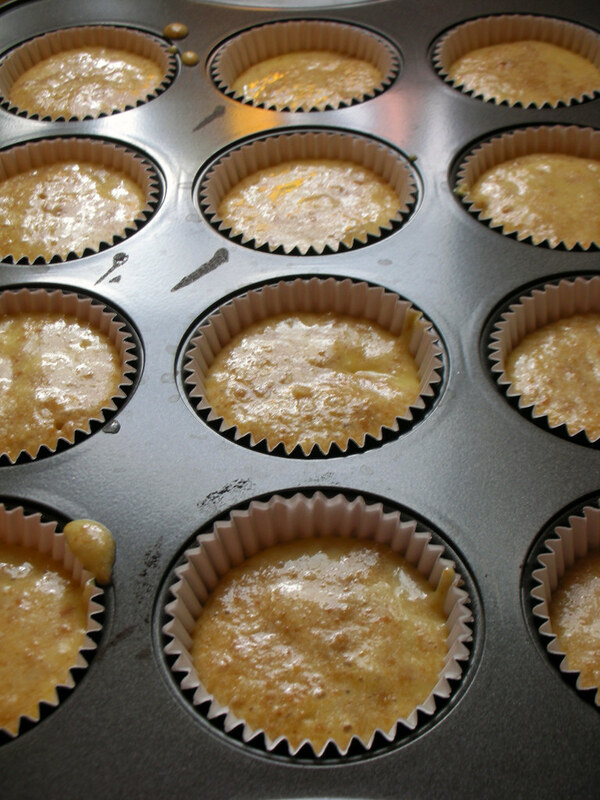 Fill cupcake liners 3/4s of the way and bake 20 minutes for full sized cupcakes, 10-12 minutes for mini cupcakes. I did a mix of both because I was getting impatient and wanted to cook off all of my cupcakes in one load. 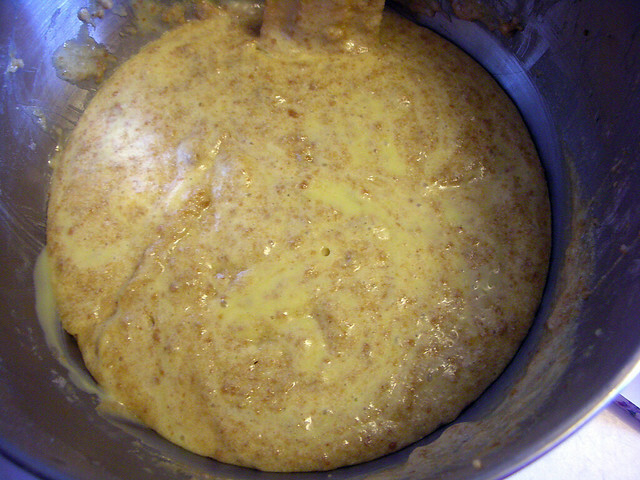 Cream together the cream cheese and butter with a hand mixer or stand mixer. Add the powdered sugar slowly. This will ensure a non-chalky frosting. Add the lime and any food coloring you’d like. I did one drop of yellow and two drops of green to match the limey color. Wait for cupcakes to come to room temperature and frost. 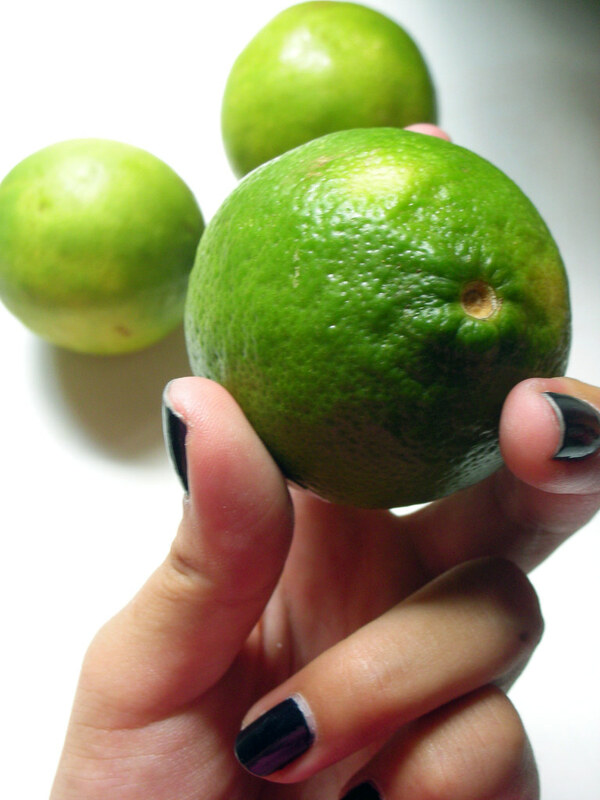 Garnish with slices of lime and enjoy. Thanks again everyone for the wonderful and continued support. Ray, I, and our humble blog truly appreciate it.